June was the 14th consecutive month of record breaking hot temperatures, continuing the longest streak in 137 years of record keeping. It also means May and June 2016 broke previous records set just a year ago! 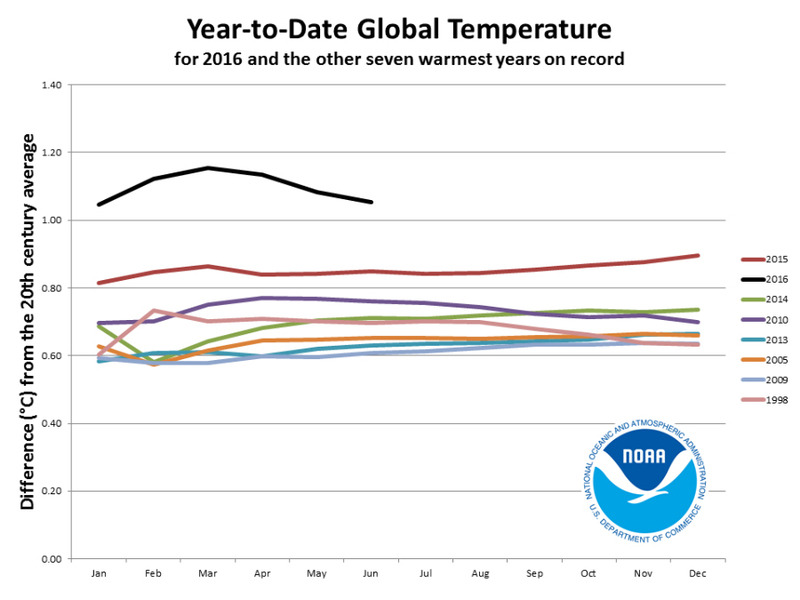 And now that we're halfway through the year and every month in 2016 has been record-breaking hot, it's now almost guaranteed 2016 will go down as the hottest year since record keeping began. The Earth has been experiencing an overall warming trend for decades now, and it currently appears to be speeding up. Fourteen of the 15 biggest temperature departures have all occurred since February 2015. 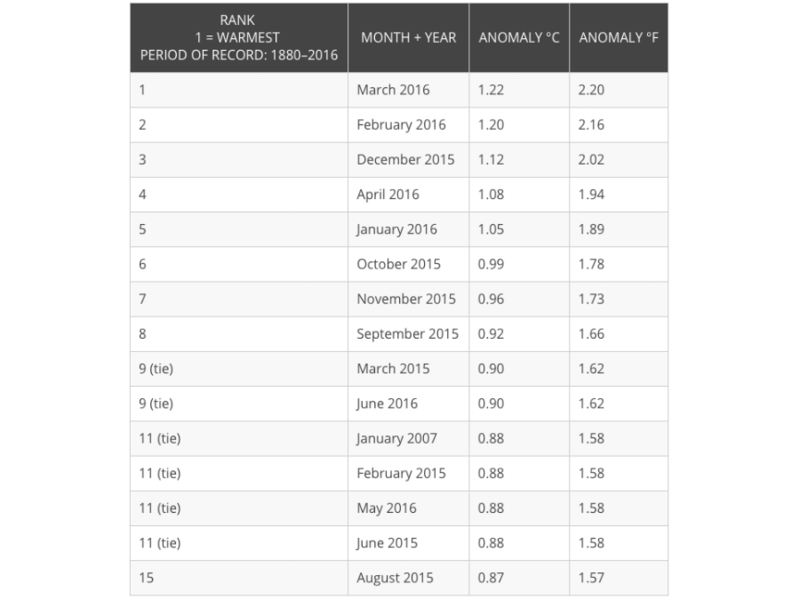 Besides being the 14th month in a row to experience record breaking heat, June 2016 is also the 40th consecutive June to experience above average temperatures. You have to go back to June 1976 to find a June with below average temperatures. June 2016 is also the 278th consecutive month with above average temperatures. You'd have to go back to December 1984 to find a cooler than average month! 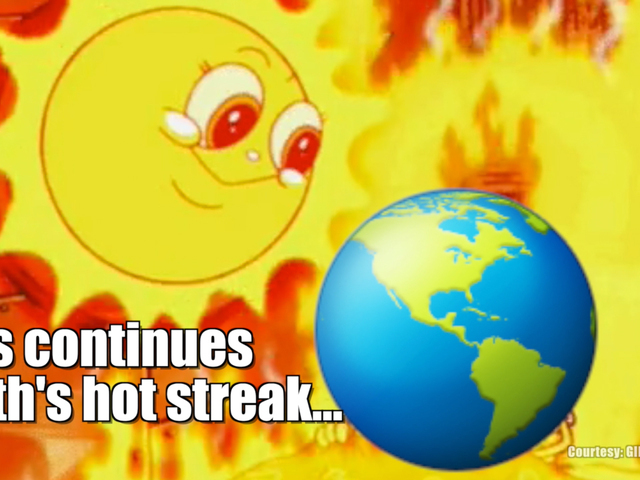 Now that July is nearly two-thirds finished, it appears this hot streak isn't about to end any time soon.